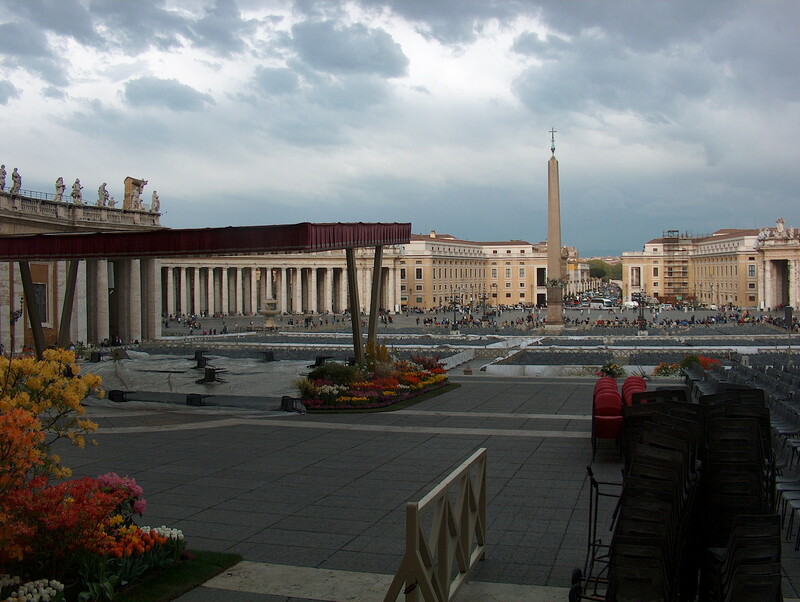 Pope Benedict XVI resigned or ‘stepped down from Peter’s chair’ in February 2013. 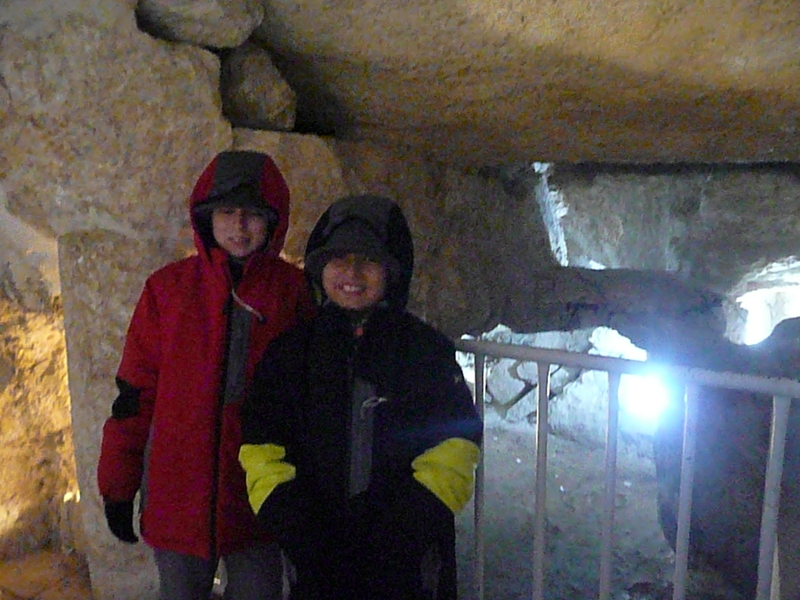 Just a month earlier we were traveling through Israel. 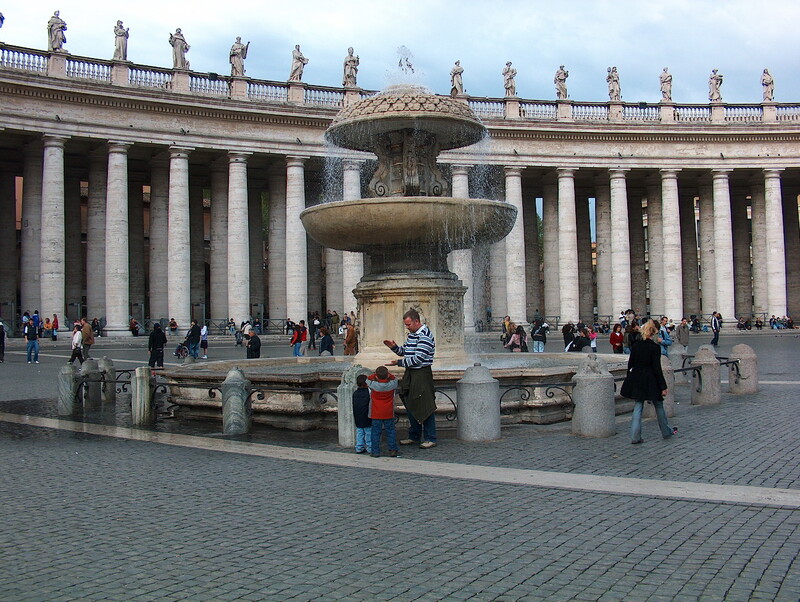 When the Pope announced his retirement, I had one of those moments where you understand, one more time, the importance of traveling to, walking through and reading about historical sites. It is well known that you should not speak about politics or religion with your friends. I would also add child rearing but that’s another story… Well, I am going to. 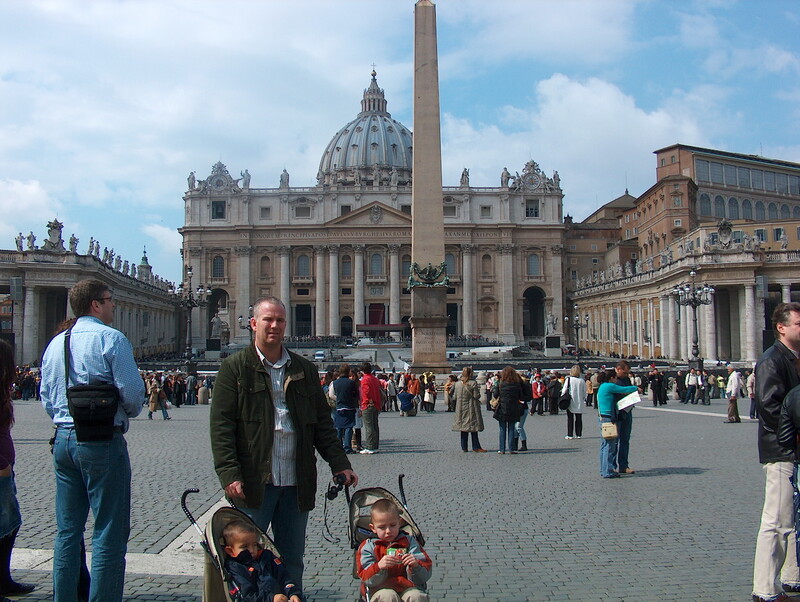 We visited the Vatican in 2006, exactly on Benedict’s one year anniversary as Pope of the Roman Catholic Church. 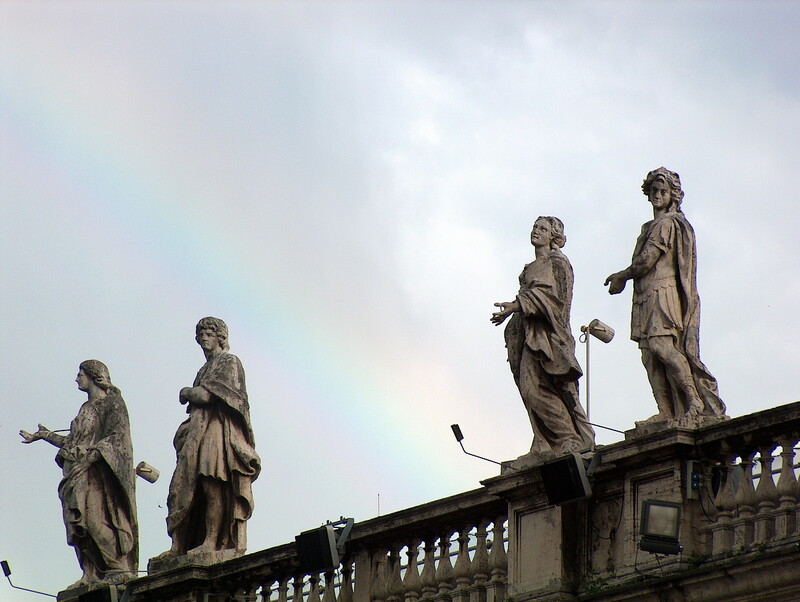 Though raised Catholic, I was never the religious type. I decided to follow no religion and not to impose one on my children. I chose instead, to teach them about all religions of the world and let them decide whatever it is they want to believe once they have enough common sense and maturity. 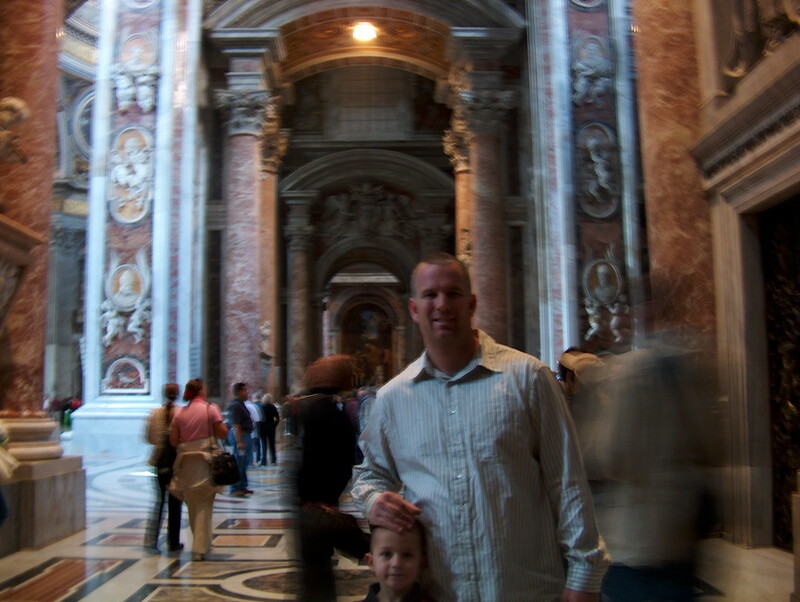 Visiting the grand St. Peter’s Basilica was on my list of places to see while in Italy. 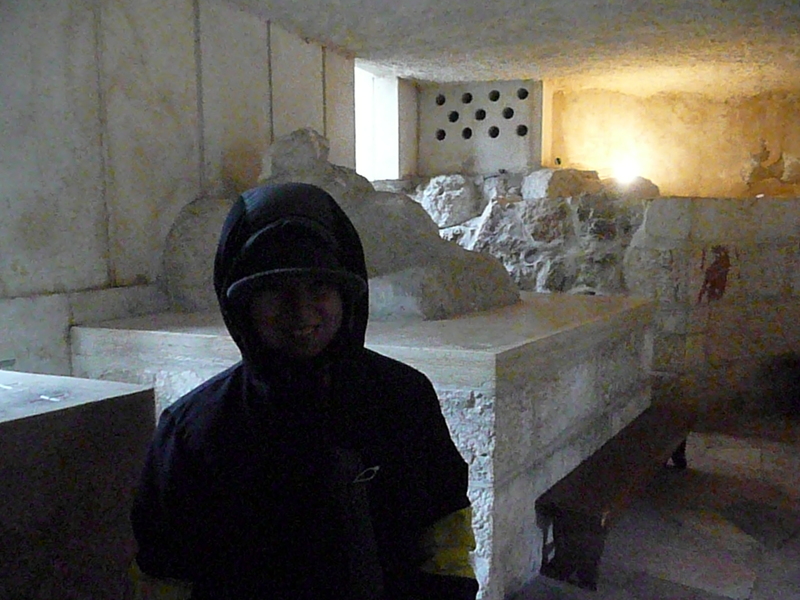 Not only for it’s historical value but it would also give me an opportunity to teach the boys about Catholicism. Grand it is! 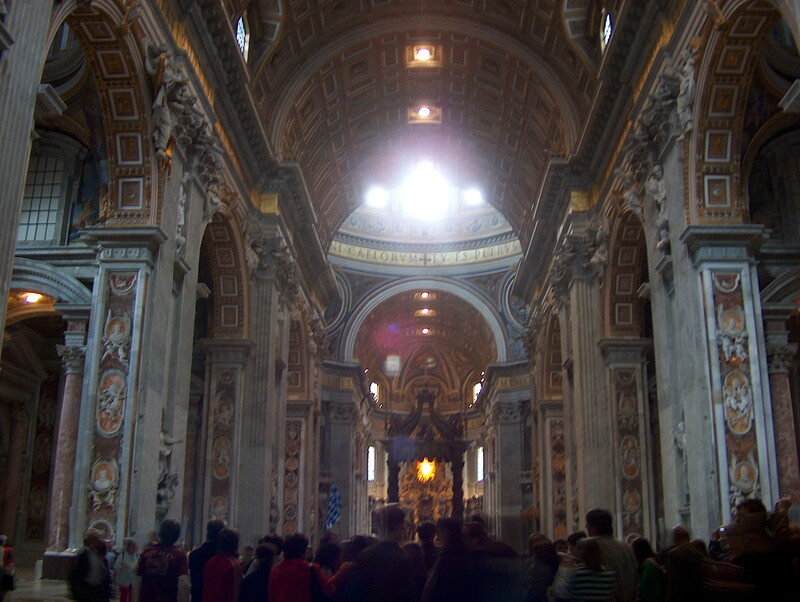 From the plaza to the inside of the Basilica itself, she simply overloads your senses. ART is the main word that comes to mind. 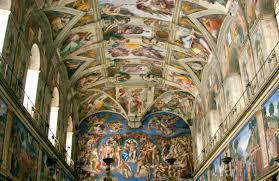 The architects, painters, sculptors and all artists that created that place are possibly the best of the best ever in history. The plaza is pretty spectacular. 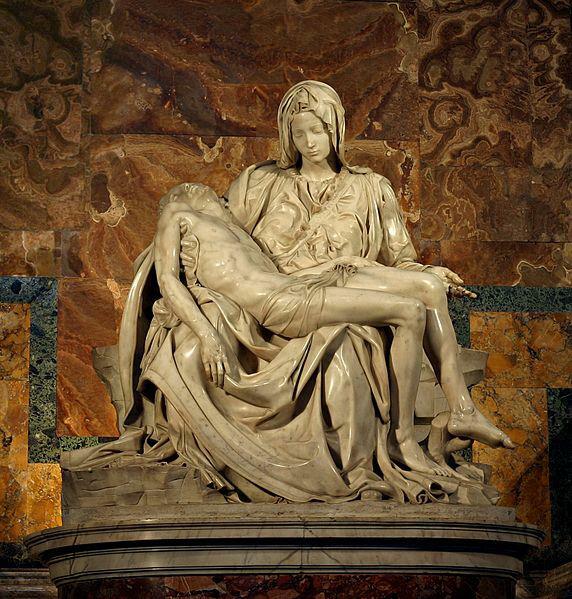 Once you go in, the art becomes even more sophisticated with Michelangelo’s Pieta by the entrance and hundreds of paintings, statues, murals, mosaics, etc. It’s just a lush garden of ART. 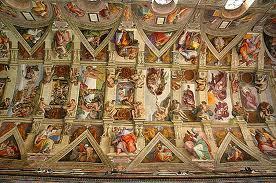 The Vatican Museum adjacent to the Basilica is just more and more unbelievable art. You could spend days looking at every square inch of this invaluable collection, every square inch of floor, wall or ceiling and you would still need more time. 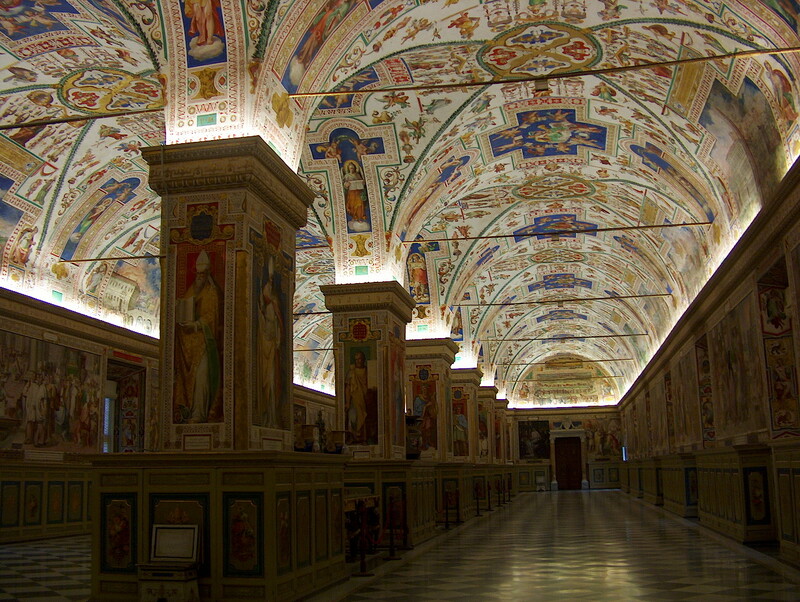 You walk through these majestic hallways in awe until you make it to the Sistine Chapel. Ok, now. This is too much to take. From the art standpoint it is like the cherry on the cake, or the cake itself. I don’t even know. Simply magnificent! It was here where I stalled for a long time. After soaking in the splendour of this room and admiring the art, I thought to myself: What does ANY of this has to do with God and/or Jesus? What is this place? It is an opulent palace. A phenomenal art museum. But does it reflect what ‘God intended’? Was this the plan? It was until our trip to Israel in 2013 that I got my answer. 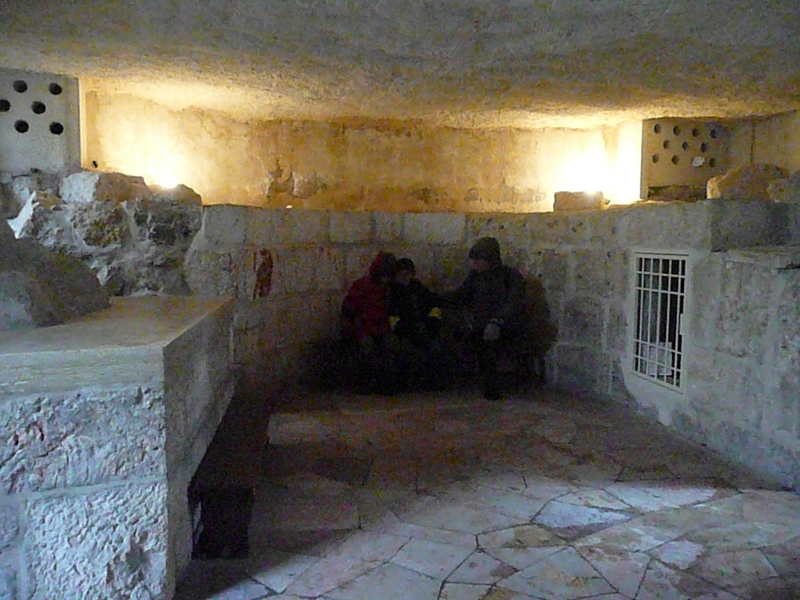 This cave in Jerusalem’s Mount of Olives, now the Church of the Pater Noster, is where Jesus taught the Pater Noster (Our father prayer) to his disciples. 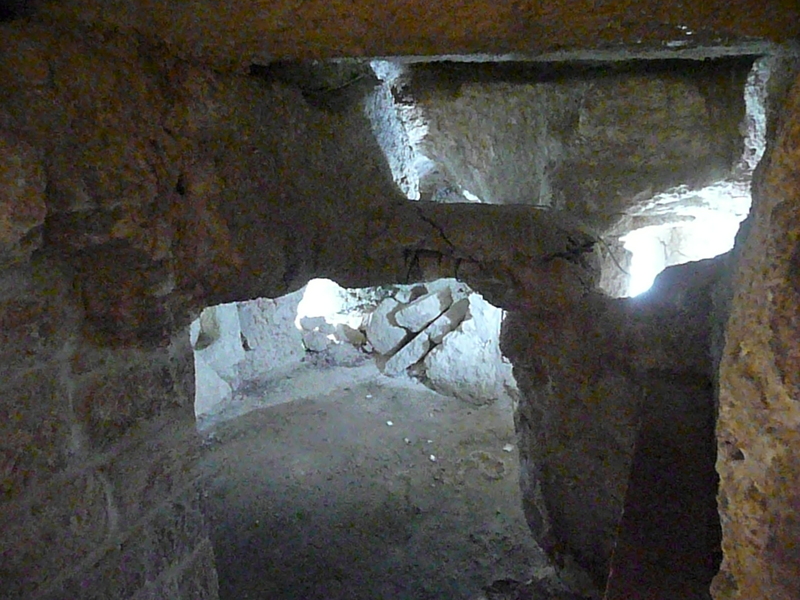 THIS CAVE! I see an austere natural formation that contains way more meaning to Christians than any palace man has or will ever create. Why did it all get so twisted and became what it is today? Why are some churches so opulent? I have the utmost respect for every religion or creed. And I don’t claim one of my own. But I sure hope that some day, the praying, meditating, thinking, reflecting or whatever you call it, is done in nature again. 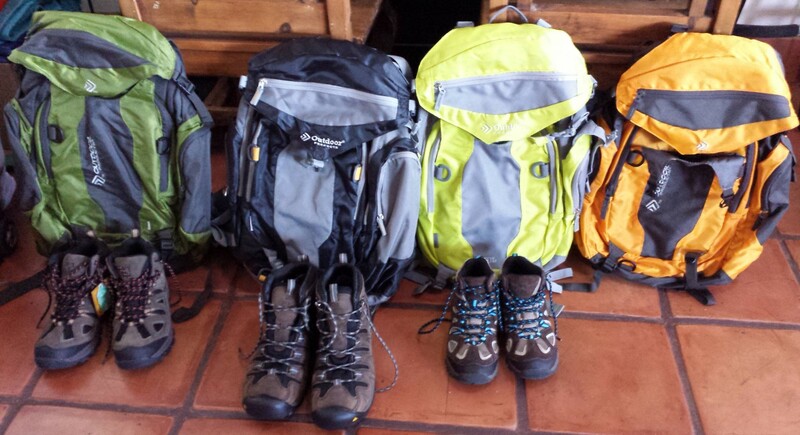 In a cave, by a waterfall, in a forest, a desert, by the ocean, a glacier, a jungle. With no one around to witness what you’re doing and ‘validating’ you. 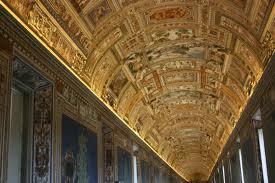 The Vatican in Rome is worth seeing. The value of that place can not be quantified. But ‘God’s intention’ it is not. Kudos Benedict XVI for showing the world that you are just a man like everyone else, with great qualities but also great flaws. A man that may have done good or bad but a simple human in the end. Previous Previous post: We finally made it to the Emerald City. Seattle dreamin’. Next Next post: Our amazing homes away from home.